If you haven’t heard of Ksenia Anske then its high time you have. I discovered Ksenia via Twitter who was searching for beta readers for her first novel, Siren Suicides. Since I loved the idea back in 2012/13 to get to read an ARC I signed up to review. This novel was intense, descriptive and I couldn’t wait to read more novels from her. This lead to reading Ksenia’s other novels (Rosehead and The Badlings) that have been self published. When I was asked recently if I wanted to beta read Tube I jumped on board. Knowing a bit of Ksenia’s personal background Tube took on an even more vivid picture in my mind. 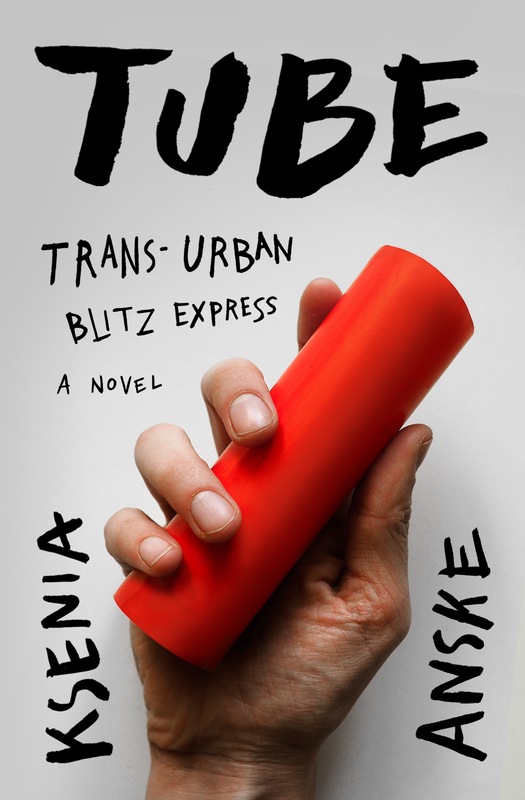 Tube is a fictional novel about Olesya, a Russian ballerina. She is dating her dance partner for Swan Lake, Dima. Olesya wants to be intimate with him, but for some reason every time they go to be intimate she freezes up. They are on their way traveling on a train as a troupe where Olesya encounter’s her five-year old self. Her little self hands her Tube, the toy locomotive that her father gave her as a gift when she was little. It was from America and considered fancy. She hears a man’s voice calling for her younger self and realizes it’s her papa’s ghost. Olesya tries to figure out why she was given back this old toy when she’d thought she’d gotten rid of it years before, after her papa unexpectedly died. She doesn’t understand why her mama never grieved her papa’s death. Her mama tried to force her to throw away Tube, but younger Olesya kept the locomotive piece. It was her one thing that reminded her of her papa and her happy memories of playing with the train set. Olesya meets a man who works on the train named Yuri. This man has talent to see through people’s facade and notices when they are hurting emotionally. At one point Yuri mentions to Olesya that he can see she has a hole in her. Yuri wonders what or who has caused her so much pain. She hasn’t told him about the pain of her past, so she wonders how he knows. When Olesya confinds in Yuri that her papa’s ghost is on the train Yuri is very concerned. He’s heard rumors there is a ghost living on the train. At first Olesya thinks somehow Tube can open the locked compartments, but of course the toy locomotive won’t fit in the key hole. She is able to see the invisible hole in her that Yuri can see. Olesya wonders if maybe putting Tube in the hole will open the door. It hurts very much, but the compartments open. Olesya is brought back to relieve what occurred between her and her father, a different memory for each compartment. The only challenge is that her papa’s ghost doesn’t want her finding out. Little Olesya tries to keep her papa’s ghost from stopping grown up Olesya from visiting all 8 compartments. She only has so much time before they arrive at their destination. Will Olesya discover the reason in time? Ksenia covers topics that aren’t for the faint of heart. Parent child relationships can be challenging. We hope our parents have our best interests in mind, but unfortunately that’s not always the case. If you were raised in the 80’s stranger danger was taught. What do you do if it’s a parent you are supposed to trust? What if you love your parent and want to think the best of them? If you are interested to learn more Ksenia click here to visit her lovely website. She is the most down to earth author I know and have had the pleasure of meeting in person. Ksenia cares about her readers and their feedback. You can download her novels for free, or if you want to help support by paying for a paperback copy. Either way Ksenia wants you to be able to get to read her wildly unique novels. Tube is truly a testament to the powerful of the human spirit and love. I get the sense this involves some sort of child molestation. Very unconfortable.